Cerebritos is BrainStorm’s 100%-immersive Spanish language experience for children ages 3-8. Small group size (typically 4-8 students) means personalized attention for your child! 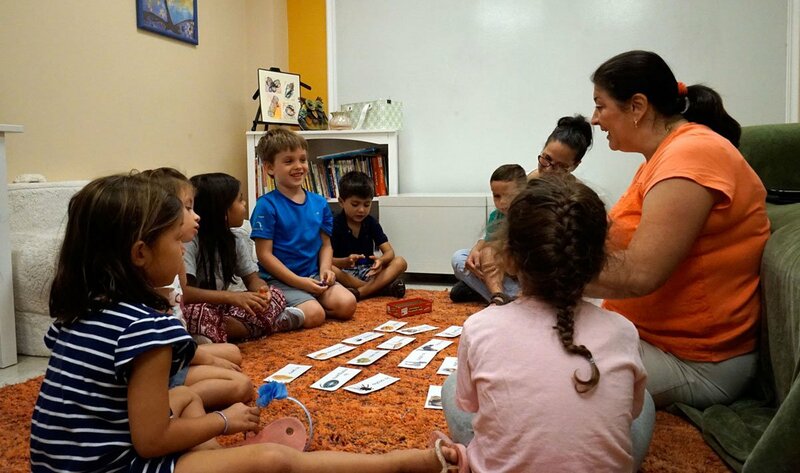 Students engage in 2-3 immersion experiences per week, during which Spanish is used exclusively. There’s no memorization or translation! In immersion learning, students seamlessly acquire a second language. Immersion is the most effective way to truly understand a new language. Cerebritos is held in Franklin Lakes and/or Hawthorne, NJ. Call 201-847-8676 x1 to find out more or to enroll! Cerebritos is all about instilling a command and love of the Spanish language in brains while they are at their most malleable. Collaborative — requiring community involvement. Customized — challenging for brand-new and experienced speakers alike. Dynamic— involving movement, intentional listening, motor skills, and productive play. What’s more, the brain plasticity of preschool-aged children makes it easier for them to pick up a second language, as well as produce an enhanced ability to learn other foreign languages later in life.